This linkfest brings you a little bit of info on two new video games (one mobile, one for Wii U), Digital Domain bankruptcy, TFs on your street, transforming furniture, real life transforming car, new take on Unicron, a mobile card game and an amusing repaint. For videos we have an amusing new Kre-O commercial, a not Devastator stop motion video, reviews of MP Thundercracker, Bruticus, Dreadwing and more. Nintendo has officially announced the release date of the Wii U for North America as November 18, 2012 with a price of $350 (there is a $299 model but no point in getting that one). 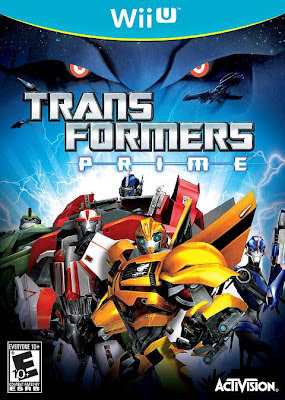 One of the official launch games will be Transformers Prime The Video Game (also be Wii, DS, and 3DS versions). Oddly the listed release date is November 13, 2012 with retail price of $49.99. 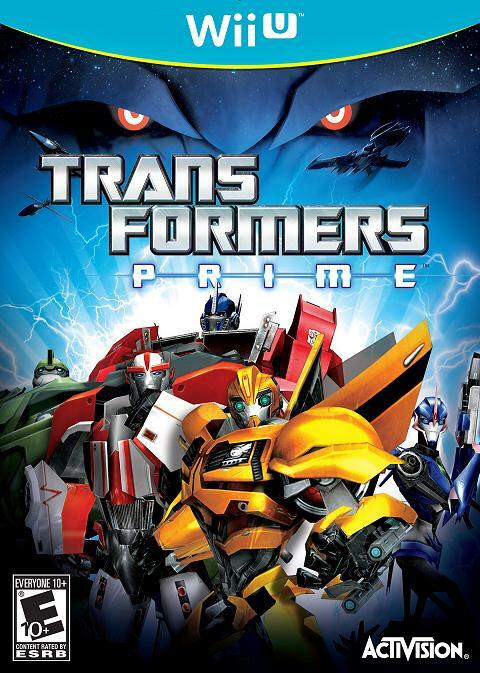 The game lets you play as various TF Prime characters in 3rd person action in a new single player storyline or multiplayer action. The company that James Cameron (Avatar) created and Michael Bay once owned a stake in (but sold off more than three years ago) has filed for Chapter 11 bankruptcy. 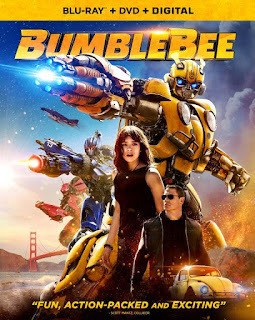 The company created visual special effects for the three Transformers films, Apollo 13, Titanic, The Fifth Element, Star Trek: Nemesis, Tron: Legacy, Avatar, X-Men: First Class and host of others. Upcoming films they are set to work on (for now anyway) are Ender's Game, Jack the Giant Killer and G.I. Joe: Retaliation. The cause for the financial problems does not seem to be known except that the bankruptcy was initiated because it was in default on its loans. A public auction to sell the company is set for September 21st with Searchlight Capitol indicating it will bid $15 for it. 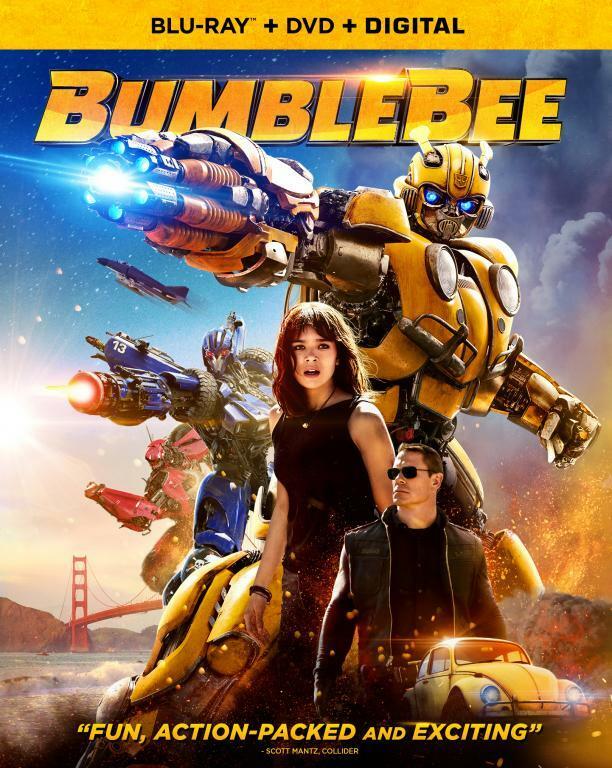 The speed to deal with the bankruptcy is due to studios threatening to pull their films to give other studio effects companies’ time to complete any visual effects. 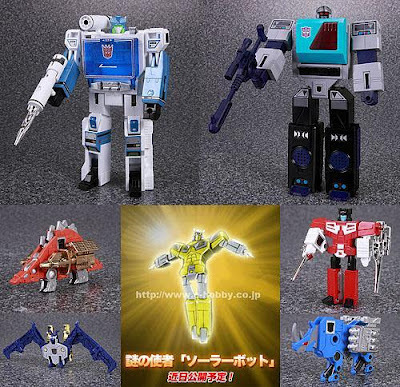 If you are a member of the Transformers Collector's Club (of repaints) then you might be interested in the e-Hobby exclusive re-issue of G1 Shockwave and Blaster with five cassettes in all new paint schemes. As the image shows, the color scheme really looks great, especially Soundwave but not sure if worth the $195 price tag. The order is only available to members so if not one you will have to pay another $45 for a year's membership. Hit the link for a promotional website that ties into Fall of Cybertron. The gimmick is type in your street address and watch Grimlock vs. Shockwave in front of your house. I assume it uses Google street view to pull this off. Thanks to Spark500 for the link. Liu of Jinan in the Shandong Province China decided to show his love of Transformers by building his own at the cost of $11,000. Using hydraulics, the working, electric powered jeep transforms into a 4.8m robot. Hit the link for a very interesting new take on Unicron. Takara has created a new Unicron mold that is Voyager sized. The alt mode is just the face of Unicron to mimic his head orbiting Cybertron at the end of Transformers: The Movie. He also can act as a cape for Voyager Transformers Prime Megatron and Optimus Prime. No plans for Hasbro to release it stateside actually be surprised if they did. A new video game of sorts will be hitting mobile devices soon (no exact release date). 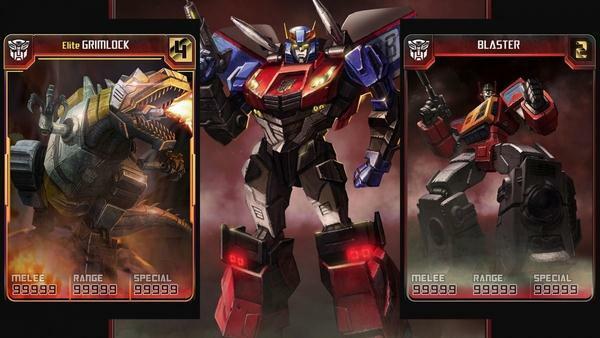 It uses card images of G1 Transformers to create a deck to compete against other players online kind of like Magic The Gathering. Cards are collected playing mini-games during various missions with ability to equip weapons (ex: Grimlock with Prime's rifle) and upgrade the card/character using x# of upgrade slots. The images on the cards have a little motion depending on phone tilt. The game seems to be designed along the lines of Minecraft and the like where you might be able to play some for free but to advance in the game you will have to continually pay for access so parents might want to check it out before letting kids go at it when its released. Hit the link for a gallery of images of a room that is full of transforming furniture. Walls convert to bed (with bookshelf) and a desk, tables turn into couches, foot stools, and hold hidden TV with surround system and more. The idea looks cool at least. For most people it would be useless but if live in tiny apartments (like in New York City), then such a thing might prove interesting. Below is an amusing stop motion commercial for the next wave of Kre-O sets that are starting to hit stores shelves. Fantastic video that shows TFC Hercules vehicles transforming and then combining. Below is a video review of Mastermind Creations Knight Morpher Limited Edition Awakening. The figure is a black and white version of their soon to be released Seeker line based on the Hearts of Steel comic book. Later, for around $90 each, there will be Screecher (not Starscream), Stormer (not Thundercracker), and Warper (not Skywarp). This is a nice preview of those figures and might help in making a decision to get them. Personally I love the robot mode but the vehicle mode leaves me cold (not MC's fault as from the comic). I may get one; just have to decide which paint scheme I prefer. The Toys R Us exclusive Masterpiece Thundercracker is posted at TRU.com but currently sold out and hit or miss in stores. The $70 figure is based on the new MP Starscream 2.0 mold. I highly recommend you pick up this figure. As the video review shows, it is a near perfect Transformer, most favorite after MP Optimus 2.0 (hitting stores soon I hope). It has a great looking robot mode, fantastic vehicle mode, lots of detail, plenty of articulation, great looking paint scheme and a satisfying but not frustrating transformation. If the price seems high consider that the Takara released Starscream and Sunstorm retailed for $180. Below is a video review of the retail version of FoC's Bruticus that will be sold as five separate deluxe size Combaticons. This is the second repaint of these characters. The first was the SDCC exclusive version (in G1 colors), and the third will be the sold out Amazon exclusive (in G2 colors) coming in late November. Since the total cost at current prices is around $75 to get all five, you might want to check out the video to make sure if want it. On bright side, Christmas is around the corner and Target, Toys R Us and Wal-Mart tend to put the TF deluxes on sale for a week or so during the holidays. Below is a video review for the Kre-0 Microchangers that are out (mostly Toys R Us). The initial wave is six figures in randomly packaged bags. A suggested key for the figures is on front of the bag there is a five digit number and a single digit number. Looking at the single digit, one decode (I have not verified this) is Crankcase (0), Scorponok (1), Waspinator (2), Spinster (7), Galvatron (8), Sunstorm (9). Any case below is a review to see if the $3 price each is worth it. Another video review, this time for TF Prime Dreadwing. As usually the weapon accessory is complete crap but other than that he isn't that bad. He might just be the first voyager class TF Prime figure that might be worth buying considering the rest have been crap. Below is another trailer for Fall of Cybertron. Even though it is called "Behind the Scenes" it is pure sales pitch as they show nothing about how they created the multiplayer experience. Still might be useful for those still on the fence about getting the game.